The lineup is out for the 7th edition of CRSSD Festival in downtown San Diego…and the lineup is STACKED. 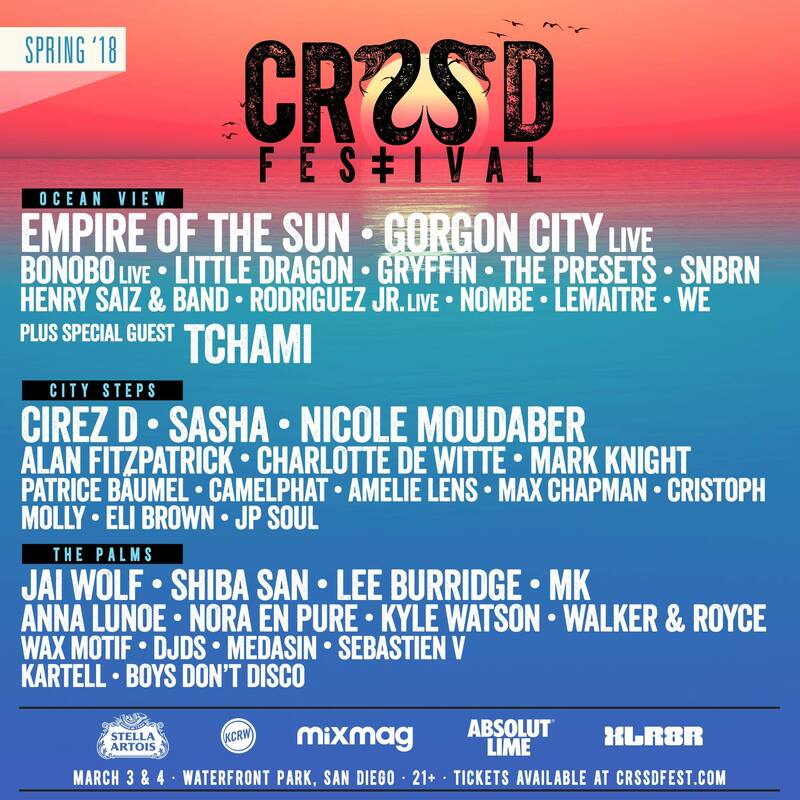 This is seriously one of the best lineups to date for CRSSD. Artists include Empire of the Sun, Cirez D, Sasha, Shiba San, Camelphat, Nicole Moudaber, Tchami and dozens more. CRSSD takes place at Waterfront Park in downtown San Diego, March 3 and 4, 2018. For more information just visit: http://crssdfest.com/.